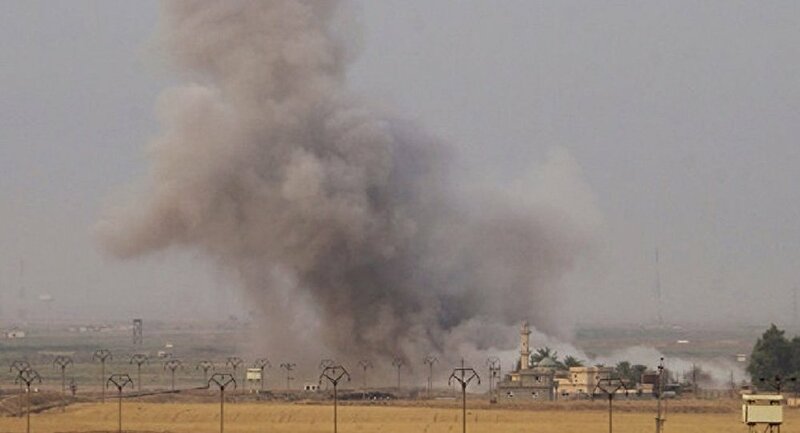 The Russian Defense Ministry said Saturday that the US-led coalition launched strikes on a funeral procession in the Iraqi town of Daquq near the city of Kirkuk, killing dozens of civilians. Daesh terrorist group is not operating in the area, where dozens of Iraqis, including women and children, have been killed as a result of the coalition's airstrikes. The Russian Defense Ministry's spokesman called coalition's stikes on residential areas "war crimes." "We have repeatedly noted that such deadly strikes on residential areas that lhave all signs of war crimes have become almost a daily routine for the aviation of the international coalition," Konashenkov noted. "On October 21, Russian reconnaissance means detected airstrikes of two warplanes on Daquq town located near Kirkuk where no Daesh militants are present, according to our data," Maj. Gen. Igor Konashenkov said. "According to witnesses' reports, a mourning procession has been mistakenly identified by the coalition's aviation as a group of militants. Dozens of Iraqi civilians, including women and children died." The Russian Defense Ministry said that it monitores the operation to retake Mosul, adding the the US-led coalition aircraft have conducted 22 sorties and launched 19 airstrikes over the past 24 hours. The incident in Daquq, Iraqi northern province of Kirkuk, took place on Friday reportedly leaving some 20 people dead and 45 injured. Earlier, the Russian Defense Ministry said that targeting mistakes by the member countries of the international coalition occur too often. "Weddings, funerals, hospitals, police departments, humanitarian convoys and even Syrian troops, fighting against Daesh terrorists near Deir ez-Zor, become targets for coalition airstrikes," Konashenkov stressed.